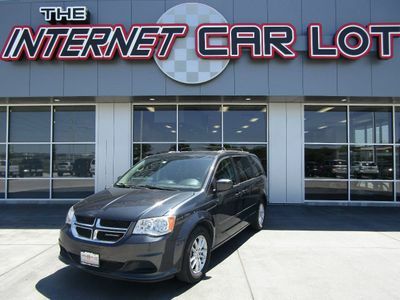 Check out this very nice 2011 Dodge Grand Caravan BraunAbility Handicap Wheelchair Van! This van looks and drives excellent! It's loaded with options including a 3.6L V6, Side Entry Ramp for a wheel chair, Power Swivel Drivers Seat, 3rd Row, Auxiliary Input, Steering Wheel Controls, 3-Zone Climate Controls, Power Seat, Power Doors, Power Trunk, Power Windows, Mirrors, Locks, Cruise, Tilt, CD, and much more! Overall this van is in great shape inside and out! It's priced to sell ASAP so call 402.991.1112 now! It's priced to sell ASAP so call 402.991.1112 now! Get Pre-Approved now on our website http://TheInternetCarLot.com or call us at 402.991.1112!